Xiaomi is one of the most renowned Chinese smartphone manufacturers and it has a strong position in the Indian market. The company offers all ranges of smartphones from affordable to highly priced with great features and advanced technologies. The recent report reveals that the Xiaomi has started working on the new device which is likely to be dubbed as Black Shark Skywalker. It has been spotted on the Geekbench website revealing the key specifications of the device. Interestingly, the listing reveals that the rumoured Shark Skywalker will be powered by a Qualcomm Snapdragon 855 SoC, which is to be the latest processor from Qualcomm. According to the Geekbench Listing, Black Shark Skywalker will run on Android 9 Pie Operating System. The listing also reveals the benchmark scores of the device and it has scored 3,494 points and 11,149 points in single-core test and multi-core test respectively. These similar benchmarking scores seen on other Snapdragon 855 phones. It is being speculated that the upcoming Black Shark Skywalker could be the successor of Black Shark Helo Aka Black Shark 2 which was launched in the China market in October 2018. 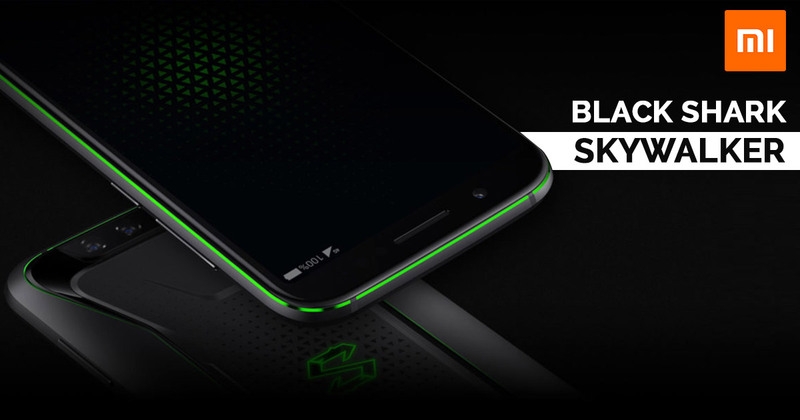 One must note that the Black Shark Helo is to be world’s first smartphone that comes with mammoth 10GB of RAM, Qualcomm Snapdragon 845 SoC and more. It looks like that the Chinese smartphone manufacturer has started working on a new gaming smartphone which expected to be unveiled in the next few months. Xiaomi Black Shark was initially launched in China in April in the previous year (2018). So, it is being speculated that Xiaomi might unveil the Black Shark Skywalker in the same month. Other rumoured upcoming smartphones which are expected to be powered by same Qualcomm Snapdragon 855 processor namely Sony Xperia XZ4, Samsung Galaxy S10. and OnePlus 7. The Xiaomi Black Shark was launched in China at a starting price of CNY 2,999 (roughly Rs. 31,100). The smart[phone features a 5.99-inch full-HD+ display, Qualcomm Snapdragon 845 SoC, 6GB/8GB RAM, 64GB/128GB internal storage and 4,000mAh battery. In term of optics, it has dual 20MP+12MP camera sensors on the rear panel and 20MP front-facing camera.